Suit-inspired Sager shoes for the SagerStrong Foundation. NIKEID is partnering with Craig Sager's SagerStrong Foundation for a pair of Air Force 1s fashioned after the sideline reporter's infamous suits. Just 100 pairs of the sneakers will be made and auctioned off, with all proceeds going to the aforementioned foundation. Auctions for the shoes begin on Opening Night of the NBA season on Tuesday, Oct. 25, at 7 p.m. EST and run till Friday, Nov. 4 through Bleacher Report here. In addition, two Sager Strong shirts will be available at retail, with proceeds again going to the foundation. 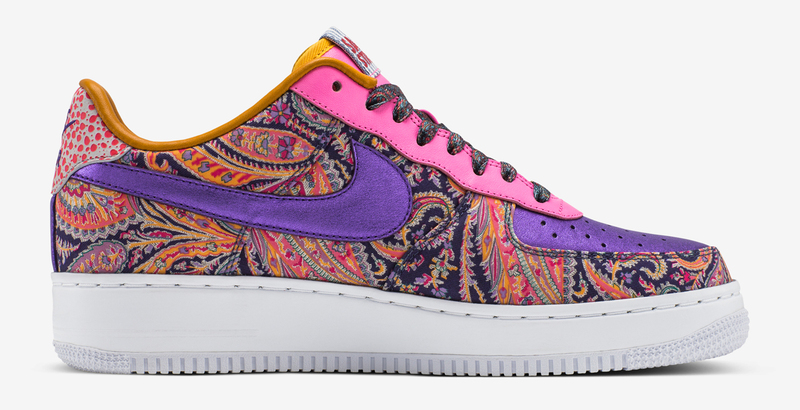 Per a press release, the wild pair of Air Force 1s was designed by Sager himself. Nike's made shoes for Sager before, crafting Air Jordan 1s and designing these Nike KDs for the broadcasting legend.